We especially love it when our customers call us to help them put together a t-shirt design that’s for a good cause. 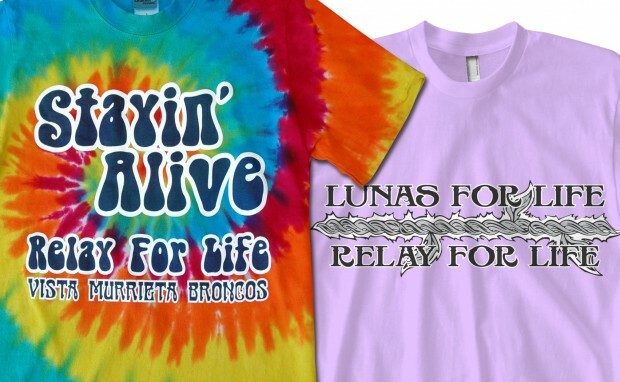 Lately, we have been working with a variety of schools and organizations to create their team’s Relay for Life t-shirts. 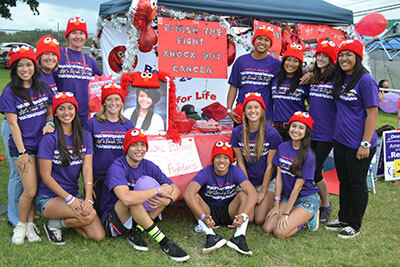 Relay for Life is an American Cancer Society fundraiser that raises funds that go towards cancer research programs. It is one of the most successful fundraising programs in the United States. We have recently worked with several schools to create some one-of-a-kind t-shirts for their events. Vista Murrieta High School asked us to create a 70’s Disco theme design on a tye-dye shirt. 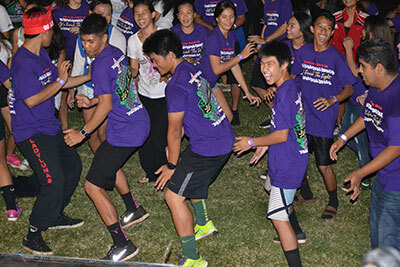 Another one of our customers, Lahainaluna High School (Maui, Hawaii), was sponsoring their Relay for Life fundraiser and requested a lilac t-shirt with a Hawaiian theme. Everyone loved their shirts and they were a huge fundraising success! ← 59Fifty Fitted Caps – The Ultimate Caps Customized for Your Team!